AVELLUM acted as Ukrainian legal advisor to MHP S.A on the benchmark USD 500 million, 7 year, 7.75% Eurobond issue with the benefit of guarantees from its Ukrainian subsidiaries. The joint lead managers on the transaction were J.P. Morgan Securities plc and London Branch of ING Bank N.V. The Eurobond issue was coupled with the cash tender offer for MHP’s outstanding USD 750 million 8.25% bonds due in 2020, with USD 245.2 million of which were tendered by bondholders. 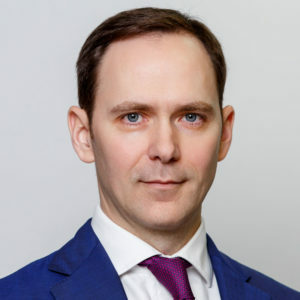 The AVELLUM team was led by senior partner Glib Bondar and counsel Igor Lozenko, with support from senior associate Vadim Medvedev and associates Anna Melnychuk, Pavlo Shevchenko, Yuriy Zaremba, Tetiana Mykhailenko, Anastasiya Voronova, Orest Franchuk, Dmytro Tkachuk, Olga Tersina and Vladyslav Aleksandrov.